Sarah Lea Elliott was born June 23, 1982 in Harrisonville, Missouri and departed this life on August 7, 2018 in Osceola, Missouri at the age of 36 years, 1 month and 15 days. She was the daughter of Tom and Jo Lea (Clements) Elliott. Sarah was a lifelong resident of Pleasant Hill, Missouri and a 2000 graduate of Pleasant Hill High School. After graduation she obtained a degree in Computer Programming and Development from Vatterott College in Kansas City, Missouri. Sarah liked to hunt, was an avid fisherman, and loved anything that allowed her to be near, or on the water. She was preceded in death by her paternal grandparents, Norma and Melvin Heryford, and her maternal grandfather, Joe Clements. Sarah is survived by her daughter, Laura Elliott of Pleasant Hill, Missouri; her parents, Tom and Jo Lea Elliott of Pleasant Hill, Missouri; her maternal grandmother, Viola Clements of San Antonio, Texas; her Uncle Kenny; one sister, T. J. Booker and husband Robert of Blue Springs, Missouri; two brothers, Chris Elliott and wife Sissy of Russellville, Arkansas, and Jason Elliott and wife Kathy of Des Moines, Iowa; “sister of the heart”, Jessica Elliott of Pleasant Hill, Missouri; aunts, uncles, nephews, and numerous cousins; her fiancé, Stephen Wilson of Holden, Missouri, other relatives and many friends. 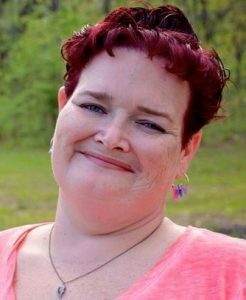 The family of Sarah Lea Elliott will host a Celebration of Life Service, 4:00 p.m. Saturday, September 15, 2018 at the Pleasant Hill City Lake in Pleasant Hill, Missouri. My heart goes out to Jo Lea and her entire family. Praying for peace. So sorry for your loss! Praying for your family.